Despite an absolutely torrid 2018, Ireland fans entered the Euro 2020 campaign holding reasonably high hopes. A new manager was on board, and the negativity surrounding the tail end of the Martin O'Neill era had been left behind. The early vibes emanating from the Ireland camp were good. The players mentioned a clean slate, a better atmosphere, and a generally brighter outlook heading into the current campaign. A ball hadn't been kicked in anger yet, but Irish supporters were optimistic that the dark days could be behind us. That may well be the case, but this evening was no indication of such. Ireland were dreadful against Gibraltar. The wind was vicious, the pitch was poor, but so was the performance. Against one of the true minnows of European football, Ireland did not look much better than the opposition. Were it not for an astounding Darren Randolph save at the start of the second half, this result could have been far worse. The same old problems plagued Ireland in this game. A lack of incisive passing, almost no link up play between the midfield and the forwards line. A general lack of quality. 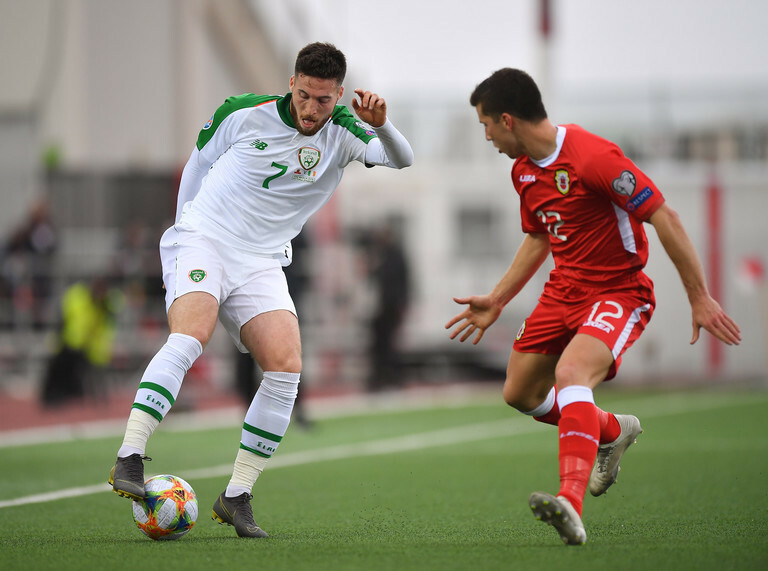 Hourihane tried his best to get the team playing, and the conditions certainly did not help, but this looks very much like the same Irish side we have seen over the past 12 months. McCarthy can only do so much in the limited time he has been given with the players, and he cannot truly be judged until the end of campaign. He deserves that much, and he has likely earned himself some extra leeway by his handling of the media, an area where his predecessor held a very different approach. Getting the most out of his most talented players he has would be a start in turning things around. I said he [Doherty] has been the best attacking right wing-back in the Premier League. Didn't work today. Maybe there's maybe not a lot of room in behind them when they sit in. Has he got the box of tricks to get past people? Probably not. If it's an experiment it's not worked. Taking him out of the starting line-up on Tuesday night would be the easy option, but would it be the wisest thing to do? At a time when we lack players of a certain quality, failing to accommodate a player operating at the higher echelons of the Premier League is not the right course of action. Shoehorning him into an unfamiliar role is hardly the way to go about things either. The manager must pick a system that suits the strengths of his most talented players. This is not just a Doherty issue. Enda Stevens, who has thrived in a wing back role at Sheffield United, was equally ineffective in his role at left back. James McClean rarely lets Ireland down, but his club form has been torrid this season. Maybe this was his chance to show McCarthy he is still capable of doing a job, but he didn't do anything to convince the watching public. If Doherty (who actually preformed much better than McClean during his 55 minutes on the pitch) is in trouble, McClean should be too. Would a 3-5-2 formation have been a better fit? After all, both Stevens and Doherty have been on fire in that very system. Maybe he preferred not to play Coleman in a back three, and that would be understandable. It is certainly something that needs to be considered moving forward, however. The only player in this team that was accommodated by the 4-4-2 formation was James McClean. We are not overflowing with in-form wingers at the moment. The only one who is playing really well, Callum O'Dowda, was not even int he squad due to injury. Could we not have made the most of out attacking wing backs? If Ireland are to qualify for Euro 2020, we need to get the best out of our best players. That is what Mick McCarthy needs to do, and it is something that ultimately cost Martin O'Neill his job. With the squad still upbeat, now is the time to implement the changes that will put Ireland on a winning course. Georgia on Tuesday night will be a test of where we really stand. There can be no complaints of wind or poor playing surfaces then. Here's hoping that this is nothing but a hiccup, teething problems at the start of a new era for Irish football. But we need to start seeing real change on the pitch. A positive atmosphere will only get you so far.